The last book of the Bible reveals what it will be like when Jesus returns (Rev. 19:11-16). Though containing details not previously revealed, this vision of the future, which John received from the Spirit of Jesus, is not new. Moses said to Israel, “For the Lord your God is God of gods and Lord of lords, the great, the mighty, and the awesome God”(Deut. 10:17). And the New Testament apostles looked forward to the time when the Savior would show Himself in all the fullness of His kingly glory. And they always tied the second coming of Jesus to a call to holy living (1 Tim. 6:14-15). Exodus – through Israel, and God’s deliverance of her, Egypt and the other nations would hear of the God’s glory. His name would be proclaimed throughout the nations. King David – the seed would come through him. His family would eventually produce the one, true King. And the prophets spoke often of this (Isa. 49:6, for example). This reoccurring theme brings us to the end of the Old Testament. If you are tempted to wonder what a 4-chapter book from a minor prophet has to say to us, today, remember the apostle Paul’s words in 1 Corinthians 10:6-11. But there is another reason to listen to Malachi. That is, being the last message of the Old Testament, it closes with the same message: The Redeemer is coming. Watch for Him. The faithful Old Testament believers looked forward to the promised One. As New Testament believers, we look backwards—we look back to the work of Jesus Christ, who is not only the promised Redeemer of Israel, but the one sent to redeem sinners from every nation. The message Malachi delivered from God was meant to produce a longing for the Redeemer—the coming King. But before the hope of redemption could be announced again, God had some strong things to say to His people. His message may be summed up in five exhortations. Rejoice in the King’s demonstration of love (1:1-5). God reminds them of the unique, covenant love He has for Israel. It was based upon God’s sovereign grace, not their goodness—either real or potential (See, for example, Deut. 7:6-8). Repent of your dishonor of the King’s name (1:6-2:17). The prophet rebukes the people and priests of four sins, and calls them to repent: cheating God out of their best (1:6-14), unfaithfulness (2:1-9), intermarriage with unbelievers (2:10-12), and disregard for the purity and permanence of marriage (2:13-17). Return to dedicated service to the King (3:7-15). In this section of the book, the prophet confronts two sins (stealing from God, and arrogance). When he confronts the people, he also calls them to return to a faithful life and service to God. Remember the discernment of the King (3:16-4:4). God will one day discern between the righteous and the wicked. The Day of the Lord is coming. Regard the decree about the King’s coming (3:1-6; 4:5-6). “Behold, I send my messenger” (Mal. 3:1). In the Gospel of Matthew, the Lord Jesus explicitly says this “messenger” is John the Baptist. Jesus referred to John the Baptist as the “friend of the bridegroom” whose role is to announce the coming of the bridegroom. Through the prophet’s closing words, God gives consolation to the faithful remnant. God will justly punish all evildoers, and reward and bless the faithful remnant. The remnant is told to “watch for Elijah,” a type of John the Baptist. The king has come. And when He came, He died in our place, and rose from the grave. He alone can save us from our sins. But He is also coming again. When He comes again, He will come not as Savior, but as Judge. Is Jesus your Savior? 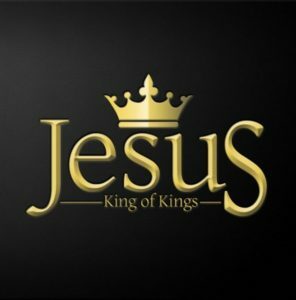 If you do not know Jesus as your King, then there is a day coming when you must face him as your Judge. If you don’t know Jesus Christ, then do not wait another second to turn to Him in repentant faith. Turn from your sins, and run to Jesus.